British Council publishes research report on Social Attitudes Towards English in Bihar conducted in partnership with Evaldesign. A link to the report can be found here. 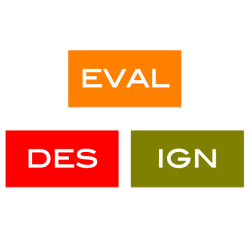 Evaldesign completes research on the impact of an in-school experiential learning program for Design for Change. An in-depth qualitative case study analysis covering hundreds of stakeholders across ten schools in Tamil Nadu. A link to the brief can be found here. Evaldesign Launches the Handbook on School Education in India - with latest data on the Indian Education System. A primer for anyone interested in a data driven bird's eye view of Education in India. Here is a link to the handbook. Evaldesign Founder Akanksha Bapna invited to talk at XLRI Jamshedpur on Entrepreneurship. A link to an article on the event can be found here. Evaldesign co-authors a proposal with the Centre for Assessment Evaluation and Research (CAER) to the National Mission on Education using Information and Communication Technology (NMEICT). The bid is approved by the Standing Committee to develop an online portal for the IIT-Joint Entrance Examination. Evaldesign founder Akanksha Bapna is an invited speaker at the Centre for Assessment Evaluation and Research (CAER) International Conference, Delhi. Links to the presentation and conference. Evaldesign Founder Akanksha Bapna speaks at the Faculty of Education, Cambridge University on the Right to Education in India. Link to video.